Comm Eye Health Vol. 20 No. 62 2007 pp 21 - 23. Published online 01 June 2007. President, International Council for Education of People with Visual Impairment (ICEVI), 6333 Malvern Avenue, Philadelphia, PA 19151-2597,USA. Secretary General, International Council for Education of People with Visual Impairment (ICEVI), 3 Professors' Colony, Jothipuram, Coimbatore 641047, Tamil Nadu, India. At least eighty per cent of the world’s visually impaired children live in low- and middle-income countries, where less than ten per cent of them have access to education. This sad fact almost guarantees that these children face a lifetime of poverty and illiteracy. But why are so few of these visually impaired children enrolled in education? Some of the contributing factors are a lack of sensitivity to the needs of such children in the general education system, inadequate human resources and materials, and a lack of parental awareness and involvement. Another major factor is the failure of health and education systems to work together, which means that children are not identified and referred to the services they need, whether health or education. In order for children to receive appropriate help, there needs to be a seamless two-way referral network between health and education. Such a network would ensure that visually impaired children who are identified within the health system are referred to the appropriate educational services as early as possible, and that those identified within the education system are referred to the health system for examination, diagnosis, and possible treatment. For this to happen, educators and eye health care providers must understand and respect each other’s work, be familiar with referral networks at the local level, and above all acknowledge that they have the same goals: providing the best possible care for children with visual impairment. It can be exceedingly difficult to get two or more government ministries to work together. However, this should not serve as an excuse for a lack of action on an individual level: educators and eye health professionals should make a personal commitment to understanding and using the services and referral networks available to them. The importance of visual assessment cannot be overemphasised (see article on page 24). The correction of a refractive error or the prescription of a simple low vision device can often dramatically alter the educational interventions a child will require. Eye health care professionals and educators should be working together from the outset on this critical matter. Once children with visual impairment have received all the ophthalmic, refractive, and low vision support they need, there are several models for delivering educational services to them. Throughout the world, the special school model has been the most common model of service delivery for children with visual impairment. Most of these special schools are residential; not only are they costly, they remove the child from the family and home environment. Although special schools play a very important role, the sheer cost of creating enough such facilities to serve the unmet need is beyond the economic capabilities of most low- and middle-income countries. Integrated education emerged out of a need to increase the availability of educational opportunities for children with visual impairment. 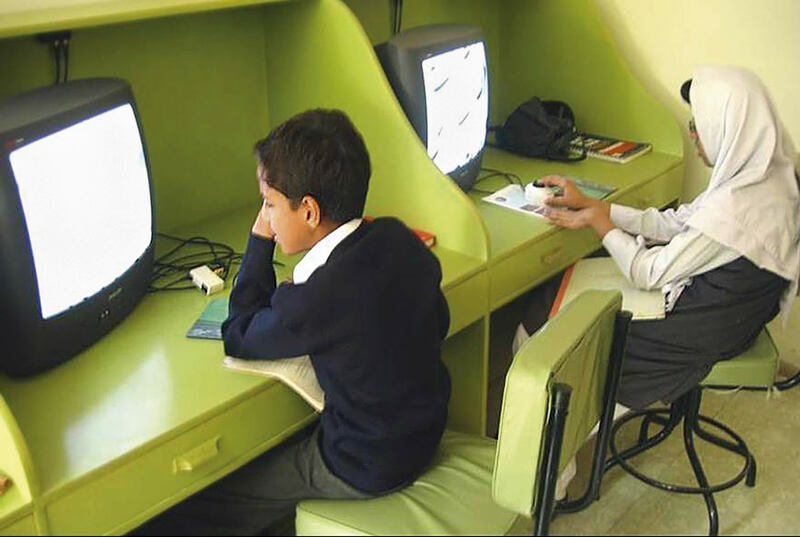 Most countries have adopted the resource model of integrated education, which encourages the admission of 8–10 visually impaired children into one school. In this model, a special teacher working at the school provides support to the visually impaired children and their teachers. In the itinerant model of integrated education (see article on page 26), visually impaired children are also enrolled in local schools, but in this model visiting (itinerant) teachers provide support to the children and their teachers. At present, there is a growing awareness of and movement toward inclusive education throughout the developing world. An inclusive approach to education calls for schools to make appropriate adaptations to the learning environment so that each classroom in a community school is able to address the learning needs of all children, including those with disabilities. The inclusive approach to education has been increasingly embraced by parents, educators, and persons with visual impairment. However, this approach still presents significant challenges: children with visual impairment have unique learning needs that may require the use of low vision devices and alternative forms of media, such as Braille or large print, in the classroom. These children may also need additional areas of instruction, including reading and writing Braille, orientation and mobility, and daily living activities. It is a real challenge to prepare general educators to respond effectively to the unique needs of visually impaired children, and to provide the specialised support services and materials required. A variety of approaches are now being used, but policy makers and educators continue to struggle. Given the growing popularity of the inclusive approach, special schools are likely to redefine their roles to serve as resource centres for a cluster of general schools in order to help them be more inclusive. Special schools are also likely to focus more attention on services to children with multiple disabilities. The inclusive approach is considered to be the least expensive model. Cost, however, should not be the sole criterion for the selection of a good model of educational services. Out of all the programme models available, each community must select the one that best suits its needs and available resources. However, whichever model of educational service delivery is chosen, it should allow all visually impaired children to access appropriate education and accord them the same right to education as any sighted child in that community. In addition, the model should provide children with certain vital core services. These include early intervention, assessment for educational placement, training for effective use of functional vision, development of mobility skills, evaluation of social skills, training for the effective use of low vision devices, and assessment of aptitude for vocational activities. There are a number of situations in which none of the proven models of educational service delivery may work, i.e. when there is a lack of human resources, inadequate facilities and material resources, or a lack of defined policies on education of children with visual impairment. In such situations, community-based rehabilitation (CBR) workers and local volunteers with some training may be pressed into serving these children in the community. In general, the CBR worker is equipped to provide basic training to persons who are blind or have low vision. These same workers may also be trained to help parents or carers understand and address the needs of a child with visual impairment. Wherever possible, CBR workers will refer a visually impaired child forformal education in the local community. If no formal education options are available, they may provide basic literacy training. One source of CBR workers is the many eye hospitals who are currently trying to provide comprehensive eye care services (including prevention, treatment, and rehabilitation). These hospitals appoint eye health workers to perform a variety of tasks, such as identifying children and adults with visual impairment, referring them for assessment, and providing community-based rehabilitation and ‘non-formal’ education services. The estimated 4.4 million visually impaired children worldwide that have no access to any form of education are the target of a new global campaign: Education for All Children with Visual Impairment (EFA-VI). The International Council for Education of People with Visual Impairment (ICEVI), acting in partnership with the World Blind Union (WBU), recently launched this campaign to ensure that all visually impaired girls and boys enjoy the right to education. 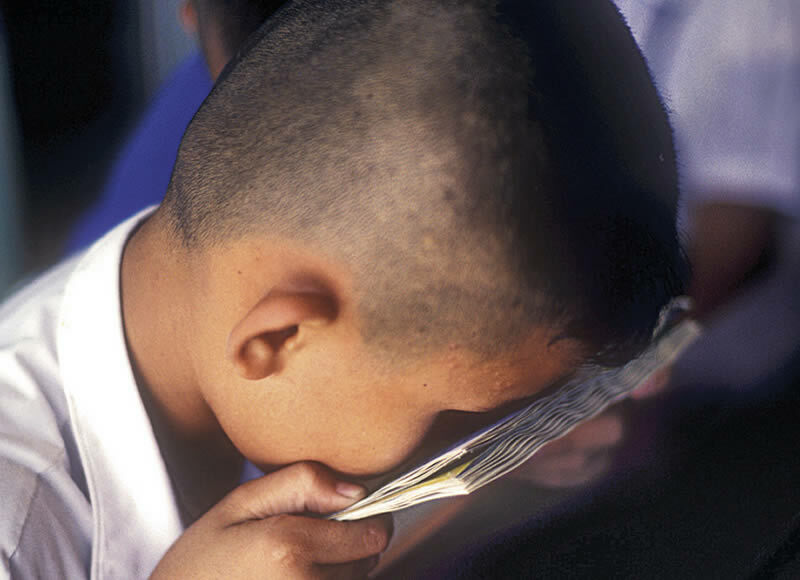 The EFA-VI campaign is working closely with the International Agency for the Prevention of Blindness (IAPB) to ensure that a range of services, including early identification, assessment, intervention, and appropriate education, are made available to these children. One of the major objectives of EFA-VI is to develop models of best practice, based on sound data, in order to address the challenges of an inclusive approach to education.